US Army Staff Sgt. Greg Byce (left) and Spc. 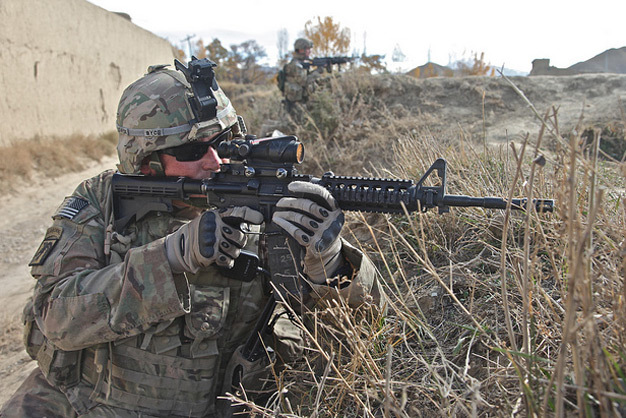 Sean Dobson provide security along an embankment at Khoshi Valley, Logar province, Afghanistan, on November 17, 2011. DoD photo by Spc. Austin Berner, US Army.